The certifications provide reliable validation of your software skills that can lead to accelerated professional development, increased productivity & enhanced credibility both within your organisation and also to your customers. 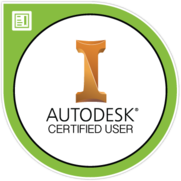 CAD Bureau provide exams for each of the main Autodesk software packages for differing abilities. 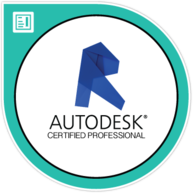 Certiport host the exams on behalf on Autodesk and CAD Bureau Southern are an official certified Certiport examination centre. There are two types of exams for the main Autodesk products. Which one you take will depend upon your experience and ability. The Certified PROFESSIONAL exams are aimed at people who have had a minimum of 500+ hours experience and consider themselves to have a very good understanding of their software product. It is a 2 hour exam comprising of 35 mainly practical questions with a pass mark of around 70-80% depending on your product. Upon passing you will receive an Autodesk Certified Professional badge (like the Revit one above) and Professional image (Like the AutoCAD below) to use in your e-mail stationary and social media, a en-certificate that you can e-mail or print and display, certified professionals will also be entered on the Internet search professional database (unless you opt in / opt out), and the knowledge that you have joined an elite band of fellow Autodesk users worldwide. 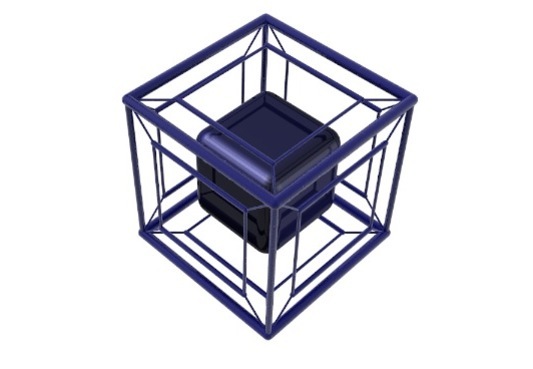 Click on one of the links below for further information on your software. The Certified USER exams are aimed at people who have perhaps attended an official Autodesk Training Course and wish to demonstrate they understand the fundamentals of the software. It is recommended that you have used the software for a minimum of 50+ hours after your course. It is a 75 minute exam comprising of 35 practical and some multiple choice questions with a pass mark of around 70-80% depending on your product. Preparation is the key to passing your exams. We can now offer mock exams which you can use an unlimited amount of times to build confidence before the exam. A retake exam option is being offered for the first time as a post-event option and comes with massive savings when compared to the cost of a standard second exam. This option must be purchased instead of the normal exam voucher before your first exam. 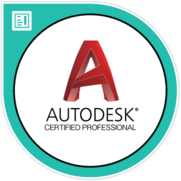 This option allows non-native English speakers to take any English language Autodesk exam with added confidence by doubling the exam time allocation.